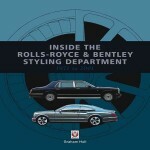 Sub-subtitled “The Official Book” this book is indeed commissioned by the company to commemorate its 100th anniversary and was launched at its Modena headquarters with much fanfare. 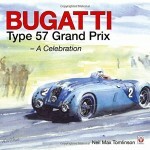 This book should be required reading for anyone who buys a new Maserati. So often, new-car buyers have no idea of “their” marque’s history and this is a loss both to the owner and the carmaker. History is a precious asset, good or bad it is what makes one thing different from another. And if you buy a Maserati it’s not because that was the only blue car on the lot that afternoon but because you want that car, that marque, that and no other. So do the right thing and learn what company you keep. 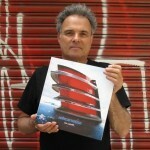 Of the book’s four authors Dal Monte is the only professional Maserati man, wearing the hat of Head of Public Relations and Press after formerly running Communications in the US for Ferrari and Maserati; he handles the history section of this book. Ramaciotti is indirectly a company man inasmuch as he is, since 2007, VP of Style at Fiat Group Automobiles and Head of Global Design at Fiat-Chrysler since 2011. That and his 32 years at Pininfarina mean he drew the straw for handling the design section here. Cancellieri and De Agostini attend to racing matters. Both men have published widely and De Agostini has written 13 of the 15 volumes of the “Vite da corsa” series which Cancellieri edits for this publisher. Reading all four men’s work would take years! One must believe that even though this is an in-house publication, objective reporting from the pens of such eminent commentators is allowed to prevail. The 1981 Biturbo is a good test. Only a doting parent could call that affront to good taste “sober and well-balanced” (p. 71) so after a quick jolt to the system one is relived that four pages later it is described as having “pitched the company into a sea of problems.” Justice! Truth or dare: do you know how Marquis Diego de Sterlich Aliprandi fits into Maserati history? If yes, you are worthy of the Trident but this book won’t have many surprises for you. In fact, you’re probably the pesky kind of reader who’d notice that the A6 1500 shown here (chassis 061 but not identified) has a non-standard interior. 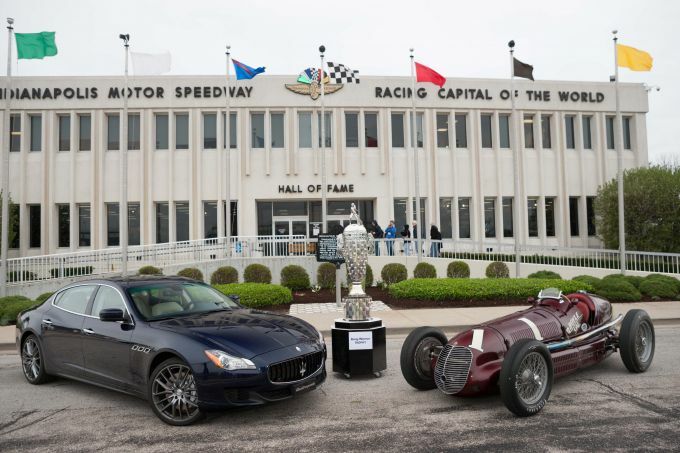 Dal Monte begins his historical overview by dialing the time machine to 1874 so as to establish context for what he considers an unusually tight bond between the brothers Maserati. The transformations of the company over the decades (ownership by the Orsi family, then Citroën and later De Tomaso, followed by Ferrari which was shuffled into the Fiat-Chrysler Group deck) is not an easy one to collapse into only 90 pages but he does it well. The Italianate English (as much a hallmark of this publisher as the good paper and printing . . . and the typos and the uninspired layout) takes some deciphering but if you absorb it all, you’ll never want for Maserati facts again. 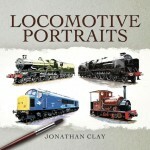 Throughout the book the illustrative material is rich and well chosen. Among the period material there surely are items that have not been seen before. There are also a number of modern photos, undated and often in color, of older cars. Coachwork and technical drawings, ads, and correspondence and the like enliven the text. The largest portion of the book is the 150-page “Style and Technology” section by Ramaciotti and it is fascinating to get a designer’s take on the cars, including concept cars. His erstwhile employer, Pinin Farina, did some of the important Maseratis and he was their Design Director from 1988 to 2005. Not all cars are included here and it is not clear why; for instance, the 1991/92 Barchetta (very collectable these days) is neither in this section nor the subsequent race car chapter. That chapter begins with the Maserati brothers themselves—and Nuvolari, Fangio, Moss and a host of names you know and love (did you realize that it was Maserati that was the first Italian maker to run at Indy? )—and ends with Maserati-powered racing boats and the contemporary Maserati-sponsored VOR 70 superyacht. 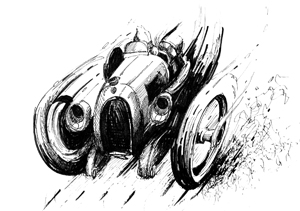 Appended are specs for the road cars and results tables of “great victories on road, track and sea” 1926–2012. No Index. 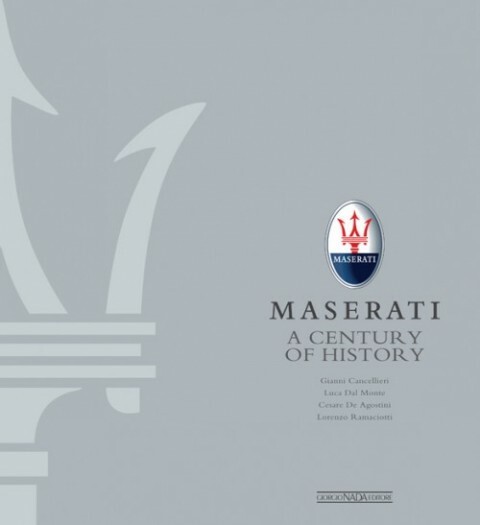 The Foreword is by Maserati President Sergio Marchionne and CEO Harald Wester.